Madrid is punctuated by its splendid parks and gardens, green spaces which are the perfect place to slow down and enjoy the city. Take a picnic or just spend some time relaxing, contemplating life and watching the world go by. Opening times vary according to the season. 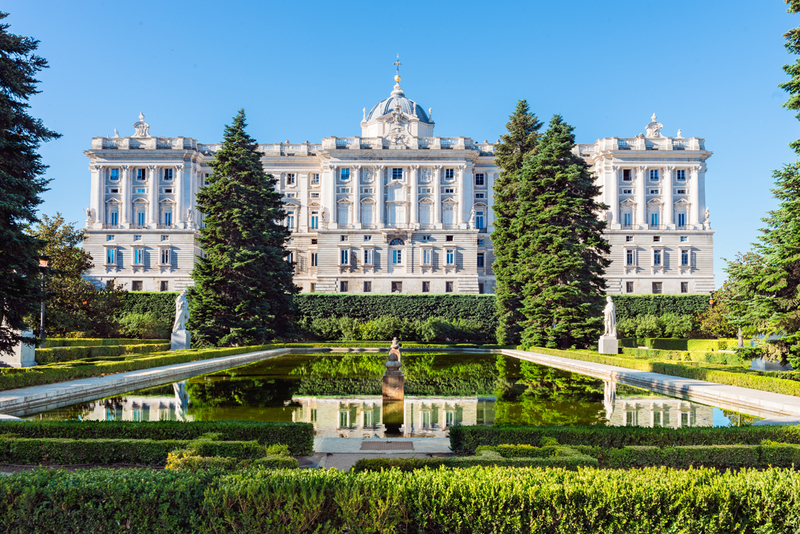 This beautiful park was designed in the 17th century as the gardens to the royal palace, and was owned by the Spanish royal family until the 19th century. Set on the Plazade la Independencia, it is the green heart of the city, full of fascinating statues, sculptures and fountains. Don’t miss the impressive fountain, known as Fuente de los Galqapagos or the notorious Fountain of the Fallen Angel, with its representation of the devil. 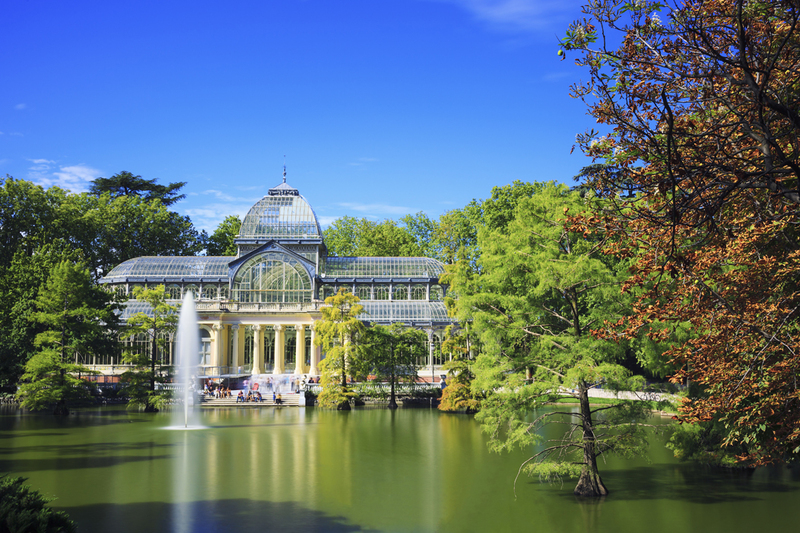 Parque del Retiro is also home to one of Madrid’s best known buildings: the Crystal Palace, the glass and metal structure, which was built in 1887 and now houses art exhibitions. Hire a rowing boat on the lake or take a step back in time as you promenade along the Paseo de la Argentina, passing the 18th century statues of Spain’s royalty, which line the walk. Choose to explore the Rose Gardens (La Roselada), resplendent with over 4000 varieties of rose, or visit the peacocks at the Jardines de Cecilio Rodríguez. Campo del Moro boasts one of Madrid’s best views, looking on to a vista of the Royal Palace emerging from its lush greenery. It was Queen Maria Cristina who converted this garden into a romantic, 19th century English-style garden. It retains its charm today and is a shady oasis of calm. Don’t miss its two renowned neo-classical fountains: the Fountain of the Tritons and the Fountain of the Palace of the Shells. The gardens are also home to Madrid’s city zoo and amusement park. 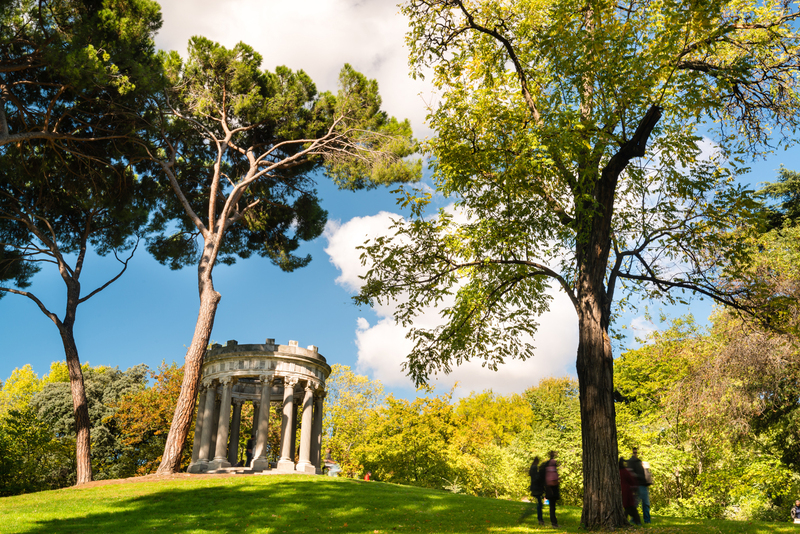 This enchanting garden, which dates back to 1784, lives up to its name, transporting its visitors on a flight of fancy with its eccentric architecture blending French, Italian and English styles. Its Casa de la Vieja is built from stone, its minute doors and windows and slanting roof, appearing as if they have been constructed for elves. Greenery and vibrant flowers fill the 14 hectares of this garden. Have fun navigating the labyrinth – perfect for a game of ‘hide and seek’. It is located on the Paseo de Alameda de Osuna and is only open at weekends. Set right in front of the Prado Museum, this lush 20-acre garden is the perfect place for a leisurely stroll in the very heart of Madrid. The Royal Botanical gardens were designed by the renowned architect, Francesco Sabatini, and contain plants and flowers from across the world, with many originating from South America and the Philippines. It also houses Spain’s largest herbarium, its collection dating back to the 18th century and numbering over one million entries.